*New for 2018. 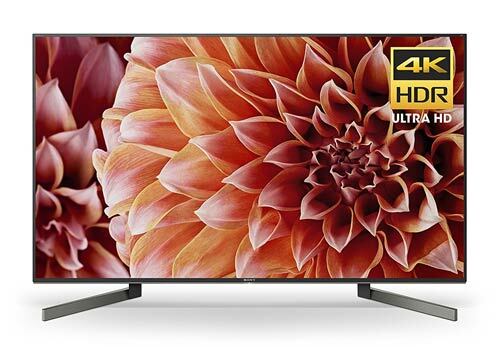 The top rated Sony XBR-65X900F X900F series is one of Sony’s best 65-inch 4K Ultra HD LED backlit TVs for 2018. The big theme at CES 2018 was High Dynamic Range (HDR), and the Sony X900F Series is a one of the models implementing this technology. HDR allows for brighter more vivid colors that pop, and a wider range from dark to light. 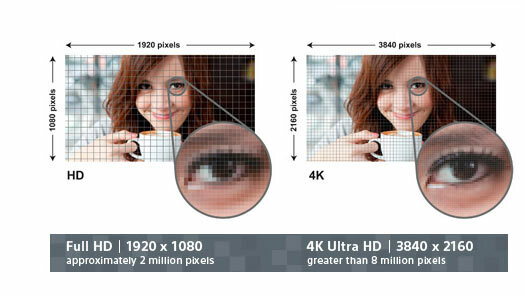 4K TVs have four times the resolution of Full HD (8 megapixels of resolution vs. 2 megapixels for regular HD). 4K is about the same resolution as a movie movie theater, only now you can view it at home. The XBR-65X900F has the new 4K X-Reality Pro™ Image Processor, 4K HDR Processor X1 , and TRILUMINOS™ Panel (Sony’s version of Quantum Dots ), and High Dynamic Range (4K HDR) which will provide for best picture quality. This premium TV has Full Array Local Dimming. 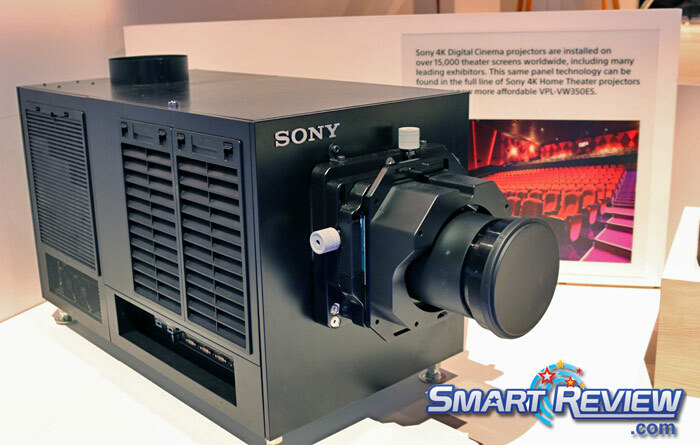 Sony is a leader in 4K TV technology, and has Sony 4K Projectors installed at most movie theaters. Features include: Full Array Dimming, 24p True Cinema®, Sony’s 120Hz with Sony’s New X-Motion Clarity high framerate technology will increase the framerate for a sharper and smoother image compared to regular 60Hz hdtvs for Sports and fast moving action. Sony’s new Android TV Operating System includes Google Cast, voice search & Play Store apps, TV shows, online videos, games. Content includes Netflix, Amazon Prime, Hulu, Vudu, HBO and much more. Access the internet with an ethernet cable, or by using the upgraded Built-in WiFi adapter Dual Band (2.4GHz/5GHz) (a/b/g/n/ac), the latest standard to stream 4K content. The XBR-65X900F offers Ultra HD 4K resolution (3840×2160). Plug in up to 4 HDMI devices (HDMI 2.0a). Bluetooth® wireless audio streaming to headphones or speakers. Google Cast-Ready & Miracast Mirroring. Sony XBR-65X900F Features: Sony’s best 4K X-Reality Pro Processor upconverts standard HD to 4K. Upscaling is one of the most important features on a 4K TV. Sony’s 4K HDR will improve black levels and colors will be more lifelike. Sound is provided by Two speakers with a total output of 20 watts. The Sony XBR-65X900F will allow you to share content, and screen mirroring to your smartphone or tablet. Android TV™ with Chromecast Built-in. 16GB of onboard storage. Two USB 2.0 ports to connect USB drives to view videos and pictures, or listen to music. Sleep Timer. ENERGY STAR® compliant. Wi-Fi Direct (connect to your smartphone/tablet directly to the TV), MHL, Screen Mirroring, HDCP 2.2, Headphone Jack. On/off timer, sleep timer. The 65X900F includes a multi function remote with voice control. Smart-Review Commentary: For 2018, Sony’s top rated 65-Inch 4K XBR X900F Series is one of the best LED TVs made by Sony. Sony is going all out on HDR (High Dynamic Range) technology. The latest 4K HDR Processor X1™ Extreme chip makes the colors pop, and the higher dynamic range greatly improves the picture. The X-tended Dynamic Range PRO™ which is one of our favorite features, allows for increased brightness, which enhances the HDR effect. The X900F is HDR10 & HLG HDR compatible. This 4K TV will give you 4 times more pixels than normal HD TVs (8 megapixels of resolution vs. 2 megapixels for regular HD). This allows you to sit much closer to the TV without seeing the individual pixels. By sitting closer, you will have an immersive movie theater experience. Sony has over 10 years of experience with 4K cinema 4K Projectors, as most theaters today have a Sony 4K projector installed. The X900F Series has the latest Dual Band WiFi standards for fast 4K video streaming and Smart TV function, Android TV, a TRILUMINOS™ Display (Sony’s version of Quantum Dots ) , and Sony’s new X-Motion Clarity to achieve a smooth picture for fast moving action. The 4K X-Reality™ Pro engine can upconvert all of your regular HD up to near 4K quality. The new Android TV interface provides internet content such as Netflix®, Amazon Prime, YouTube™, Pandora, Facebook, and a browser. You can also install Apps from Google Play. The TV comes with a multi-function Voice Controlled Remote (RMF-TX310U) for Smart TV and Web browsing functions. Netflix, Amazon, Dish, DirecTV and others have 4K content available in 2018, and this TV is ready with its built-in HEVC (H.265) decoder. As usual, Sony has produced a very striking and stylish set, along with a very strong feature set. This set has HDMI 2.0a , which will allow the highest frame-rates of 4K video. It is future ready and supports next generation 4K players and services. The 4K HDR really makes a difference, as we have previewed this feature at CES. 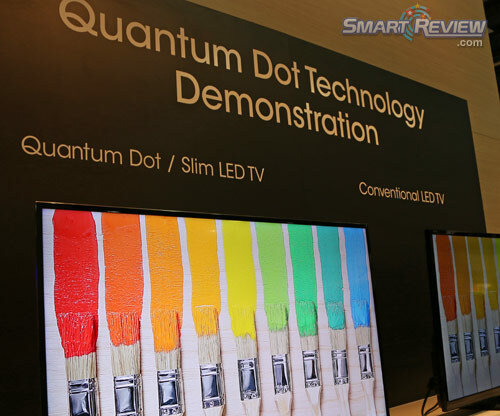 Quantum Dots, and High Dynamic Range (4K HDR) will provide for best picture quality. Full Array Local Dimming is a premium feature on this TV. The XBR-65X900F is an exceptional 65 inch 4K TV and is not only a Smart-Review top pick, but has won our BEST OF 2018 award.